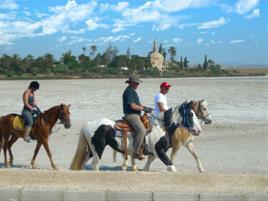 Ride, relax and make friends at Horse Leisure Club. 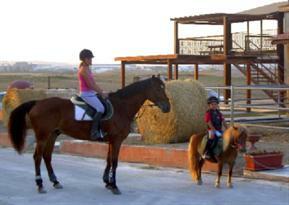 This is a well established family run horse farm, with a superb safety and revisitation record. Whether you are just starting out, and a little nervous, or vice versa you are an experienced rider, we would always have the horse and the ride for you. All rides include riding tips from our trained and friendly staff, and you would surely enjoy either spectacular views or maybe just a lesson in our arenas! We have experienced and professional riding instructors and our main priorities are your enjoyment and safety as well as the achievement of your riding ambitions. 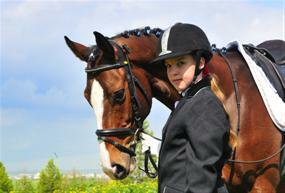 In addition to this we have excellent livery facilities for those with their own horses. 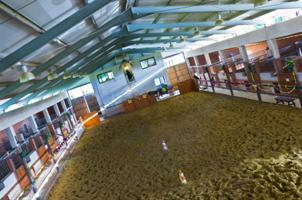 - We have 27 indoor stables with an Indoor Arena, sand surface with sprinkler system and viewing gallery. Outdoor floodlit arena, sand surface 20x40m. - We also have 1600 m2 of grassland available for all year round liveries. abilities and sizes, including disabled, are welcome to join our Horse Leisure Club. 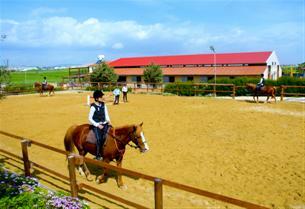 We make every effort to match horses and riders according to experience and ability so that everyone will have fun and take away happy memories of the best county in Cyprus. We have chosen our horses and ponies carefully for their quiet temperaments and their experience in developing the skills of junior riders. Our fully trained instructors ensure that children are encouraged to acquire new riding skills, paying particular attention to safety, whilst maintaining an element of fun, in order to build confidence. If you are an experienced rider, then instead of a horse riding lesson you may want to ride out on a hack towards Salt Lake or enjoy a sea view from the hills which are a short ride away from the horse school.